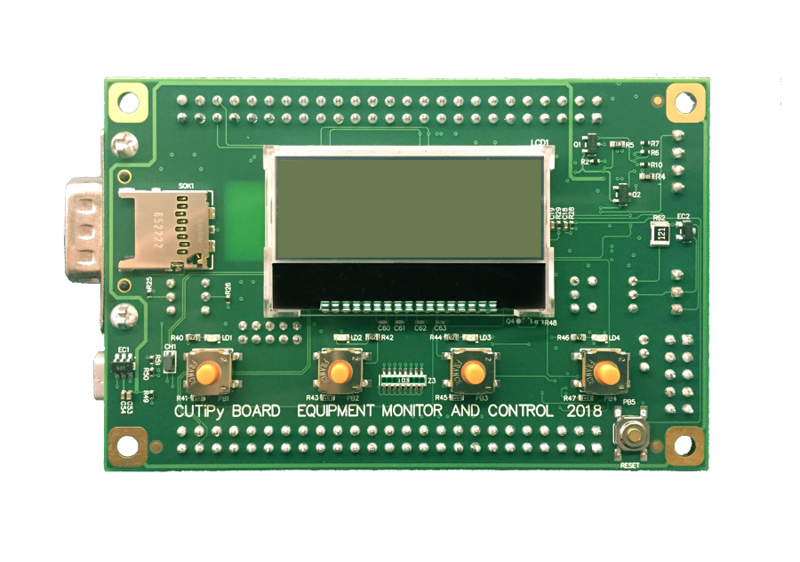 The CuTiPy™ Industrial IoT microcontroller was created to simplify adding IOT connectivity to devices and machines in the Industrial systems environment. EMAC Inc. has created an easy to use, cost effective industrial IoT board that can be implemented anywhere from the factory floor to a remote offsite location. RSB-4220 is a 3.5” SBC (Single Board Computer) with TI Sitara AM3352 Cortex A8 1GHz processor. 256K Flash programmable, 4K byte EEPROM, 12K of RAM, 96 bytes of battery backed RAM. 1 RS232 Port and 1 RS232/422/485 port. 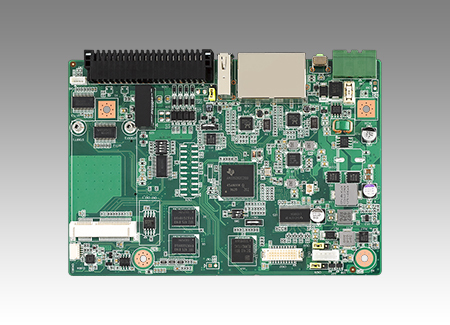 The iPac HCS12 is a powerful Single Board Computer (SBC) based on the Freescale 68HCS12 processor. 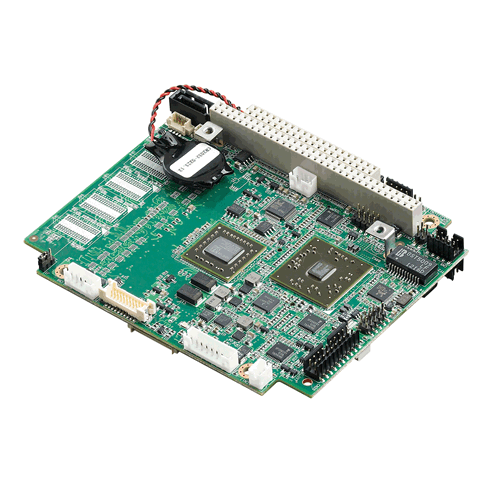 Although being extremely powerful with ample I/O for demanding applications, this board consumes minimal power, is low cost, and has a small footprint. The iPac HCS12 uses the Standard PC/104 form factor (3.8" x 3.5") allowing the use of standard PC/104 mounting hardware and enclosures. CPU: Freescale 68HCS12 16 Bit Processor (MC9S12DG256BCPV) running with a CPU clock speed of about 50 MHz with BDM debugger capability. MEMORY: 256K of internal Flash in-circuit programmable, 4K byte EEPROM, 12K of RAM, and 96 bytes of battery backed RAM. DIGITAL I/O: 16 General Purpose HCS12 Digital I/O lines, 8 Digital Inputs, 8 Digital Outputs, and 8 High Drive Digital Outputs..
COUNTER/PWM: 8 Multi-Purpose HCS12 Digital I/O lines (GP/Counters/PWM). ANALOG INPUTS: 16 channels of 10 bit A/D 0 - 5 Volts. ANALOG OUTPUTS: 2 channels of 8 bit D/A using filtered PWM channels. COMMUNICATION: 1 RS232 Port and 1 RS232/422/485 port. TIME: Battery Backed Real Time Clock/Calendar. RESET: External Reset Button provision. INTERFACES: Character LCD interface with backlight support and a 24 key, keypad interface. SOFTWARE: Resident Bootloader, GNU C Compiler with full drivers in object format, and a Demo/Test application with source code. Also available is an optional Screw Terminal board(PCD-39E00-000) for the iPac (shown to the right) that is stackable, providing numerous I/O points with screw termination, in a very small package. 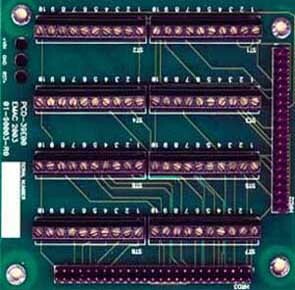 Two Screw Terminal boards are required to accommodate all of the iPac I/O. The 68HCS12 microcontroller unit (MCU) used on the iPac is a 16-bit device composed of standard on-chip peripherals including a 16-bit central processing unit,128K bytes of Flash, 8K bytes of RAM, 2K bytes of EEPROM, two asynchronous serial communications interfaces (SCI), two serial peripheral interfaces (SPI), an 8-channel IC/OC enhanced capture timer, two 8-channel, 10-bit analog-to-digital converters (ADC), an 8-channel pulse-width modulator (PWM), 29 discrete digital I/O channels, 20 discrete digital I/O lines with interrupt and wakeup capability, and CAN 2.0 A, B software compatible modules. 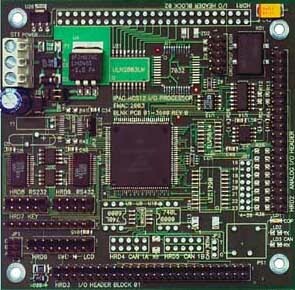 EMAC integrated this powerful 16 bit processor onto a board which contains 48 digital I/O lines, 24 A/D inputs, 6 D/A outputs, 2 serial ports, CAN port, Real Time Clock, keypad interface, and an LCD interface. This is a do-it-all Single Board Computer. For more information on 68HC12 GNU tools go to: http://www.gnu-m68hc11.org/blog/. EMAC provides Driver object files and Demo application source code usable by the free GNU or Cosmic compilers, allowing the user to quickly develop custom applications. Programs developed in this manner can download over the provided serial bootloader at no extra cost to the user other than the original purchase of the hardware. EMAC can build the iPAC-HCS12 with any option mix you require. Build-To-Order can offer a significant cost savings when only a certain subset of options are needed! 25 piece minimum required.